A few months ago I was sitting in church. The sermon was on Jesus' encounter with a man who had been sick for thirty-eight years and even though it is a story I have probably heard a hundred times, this time I was just not getting it. The story (which you can read here) goes like this: Jesus comes up to a sick man who has probably been sick for basically his entire life and they have this brief encounter that, on the surface, seems really strange to me. Jesus asks this guy "do you want to be healed?" and this feels like a really stupid question to me. Just those simple words really hit me hard. Do I want to be healed? Has my junk, heartache and issues so defined me that I can't imagine myself without them? Have I gone so far down the black hole of bitterness and resentment that I have given up on hope? Do I still believe that God is at work in my life? Do I still believe that He can do something amazing? It was a question that echoed in my soul for the next weeks. "What do you want?" 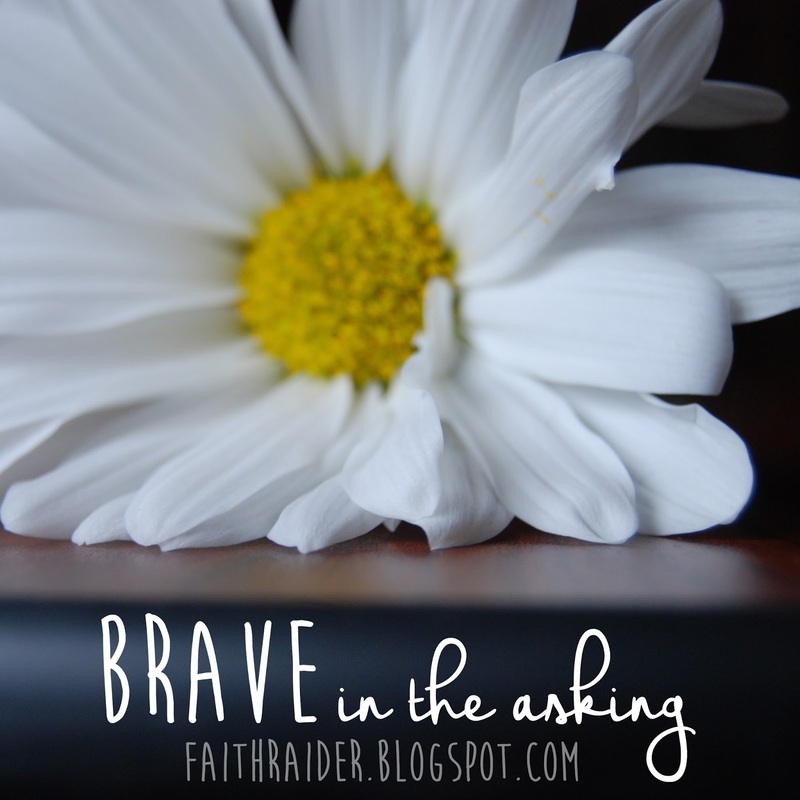 I found a lot of bravery in asking this question: what do you want? It shaped my prayers over the coming months and helped to rally my faith during a moment when I really needed it. And this is the question I want you to sit with as we begin this journey together. Today we begin our journey with Hannah. You can read her story here. Notice Hannah's posture towards God and His response to her. Especially be on the lookout for how the Holy Spirit is applying this story specifically to you. We'll dig deeper into it tomorrow. Maybe you know her story. In case you don't here is some background information. She was the mother of Samuel, the last priest of Israel. She did not have children right away, and her story about asking God for this special son is close to my heart. Here is some background information on Hannah, her husband Elkanah and Samuel's birth family. The priesthood has been established with Aaron, (remember Moses' brother?). When the nation of Israel began to settle in the land after the Exodus the tribe of Levi was not given a portion in the land, or a place to settle. Instead they were scattered by clans throughout the tribes fulfilling the role of religious leaders in their communities. Elkanah (Hannah's husband), is recorded in this story as a son of Tohu. If you look back at some of the other genealogies you see that the family of Tohu were descendants from Aaron, a family of Levites living among the tribe of Ephriam, near Shiloh. If you'd like to learn more about the genealogy of Samuel you can look up 1 Chronicles 6:33-38, Exodus 6:24, Joshua 21:1-5 & 20, 1 Chronicles 9:19-23. To read about the city of Shiloh see Exodus 23:14, Deuteronomy 12:5-7, 16:16, Joshua 18:1, Luke 2:41. By the way, I just wanted to point out a few things: Hannah didn't need to go to the temple to talk to God. God hears our prayers wherever we are, in fact sometimes I get my best prayer times in while I'm taking a shower or driving my minivan. However, sometimes we need to physically move, we need to kneel down, we need to get ourselves to church or small group. Sometimes we need to ask our friends to pray for us over the phone or lay hands on us and pray with us. The most important thing isn't where or how or when it's simply that we do. Also as we move forward exploring this story I wanted to mention that Hannah didn't need to bribe God. God doesn't require that of us. He loves to bless His children with the right gifts at the right time. He isn't waiting for you to pray the exact right words for that thing you have been asking for. He knows your heart, and He has His plans. All He wants from you is to bring your heart to Him. Respond: The main thing I hope for you during the next few days is that you would set down your anger, your fear, your pride, your expectations, your disappointment, whatever you might call the heavy shield of armor that has kept you from feeling the big hard stuff, just set it down, crawl up into the lap of your Daddy God and let it all out. All of the screaming, sobbing messy parts that we try to keep hidden behind closed doors. And I hope that in that moment you will hear God. What he has to say to each of us will be different but what he most often says to me is: "I'm here. I've got you. I won't let you go." Let's sit here with Jesus. Face to face. He's not just asking that sick man by the pool, He's asking you: What do you want? Is there something that immediately comes to mind? With Jesus there are no "but I've always been this way" escape clauses. There is no temptation, no sin, no shame, no fear, no dream, no desire, no anything that is too big or too hard for God. In this moment it is really important to be honest. What do you really want? Not what you should want, or feel like you ought to want. Not what is reasonable. Not what you think other people expect you to want. Not what is safe enough to keep disappointment at bay. Honestly. What do you want? So what are the desires of your heart? Like Hannah pour them out to your Daddy-God. Surrender them to Him. Ask him to fulfill your desires and to help you to trust Him in the meantime. 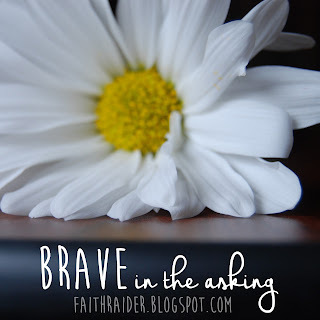 What does it mean to you to be brave? Is God calling you into something new? Or maybe just into something more? Here is how I re-wrote Romans 8:26-39. When I don't know what to ask for - the Holy Spirit is right here, giving words to my longing, and to the desires of my heart I keep stuffed down so deep that they can't bother me anymore. He brings them to God because He knows the path He has laid out for me, with all of the mountain tops and valleys. He knows that every single little bit of it - the good times and the hard times, all of it, is working together to tell a beautiful story - not about me but about Him. So how can I sit here on my hands, silent before my Savior? Jesus gave up His very life for me. My Daddy-God sent his own dearly loved son to take my place, what can possibly compare to that? Everything else that I could possibly ask for is trivial compared to what He has already given for me. So why am I beating yourself up with all of this condemnation? Nothing can keep me away from God!!! He doesn't move away from me when times get tough. No! There is nothing that can keep Him from me. Nothing I have done, nothing someone else has done to me - nothing changes His love for me. That re-writing of the Romans passage? Life changing! Wow... just wow. I agree and second that, Branson! Beau-ti-ful. ~~~ & Amen.